So, you’ve built a fancy new mobile app for your business. Now what? A mobile app is great for being more hands-on with customer experience and service but you did invest money in creating it, why not make some money with it? Contrary to popular belief, in-app ads aren’t always the best monetization approach. They are considered an unreliable source of revenue for businesses. This is because app users dislike ads and find them disruptive. The last thing you need is to annoy users when they accidentally click on an ad while using the app. This will only cause frustration and they might not continue to use your app. Luckily, there are other ways to monetize your app without bothersome ads. Most people like to try something before they buy it. And by offering optional paid features through in-app purchases, you can make money without aggravating users. These purchases can be for one-time use of they can be permanent. An app like Spotify is a good example. While users have access to music on the free version, they have to listen to commercials. If they wanted to skip commercials, they can opt for the paid version. When you white label your app, it means you create a copy of your current app but with another company’s branding. You can only do this if the app you created doesn’t already exist and solve a specific problem. If you join an app referral program, you can make money any time users purchase whatever you suggested. This could be extra resources or different apps that will help them achieve their goal. You are then compensated for referring new customers. Bespoke application development could earn you extra money. 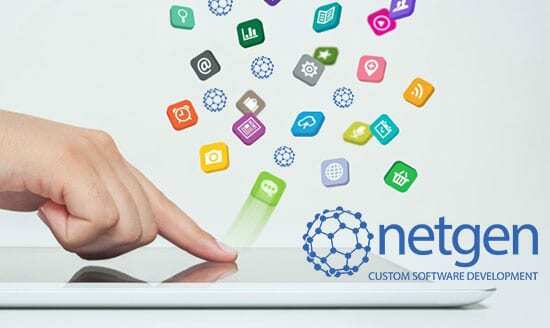 Get in touch with the experts at Netgen to design your mobile app today. Previous PostWhat Information Does a Web Designer Need Before They Can Start Building My Website?